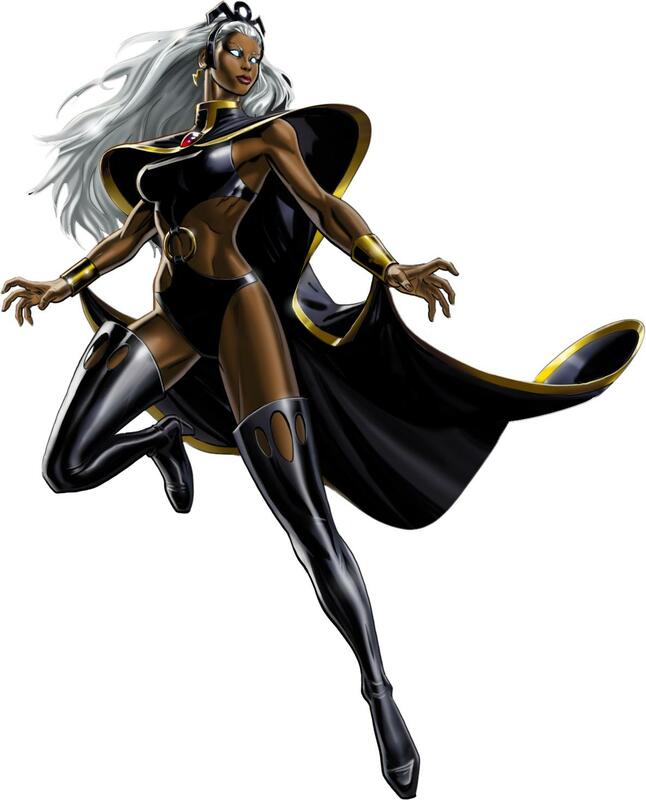 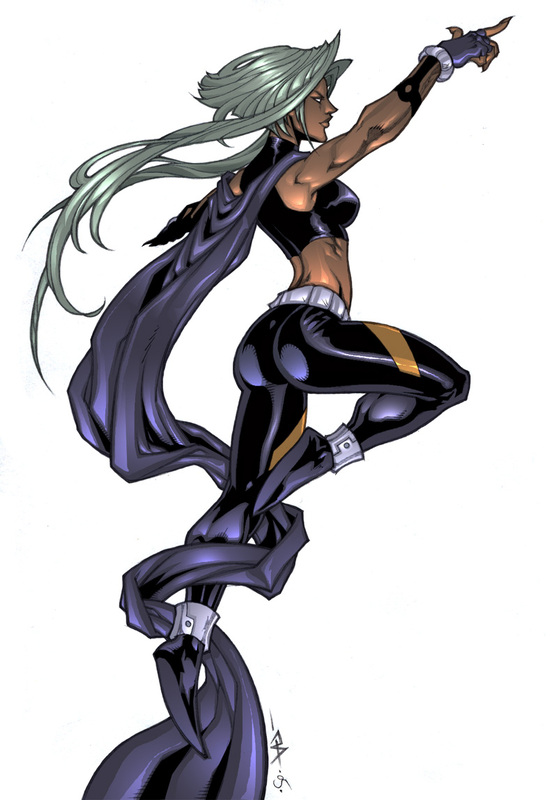 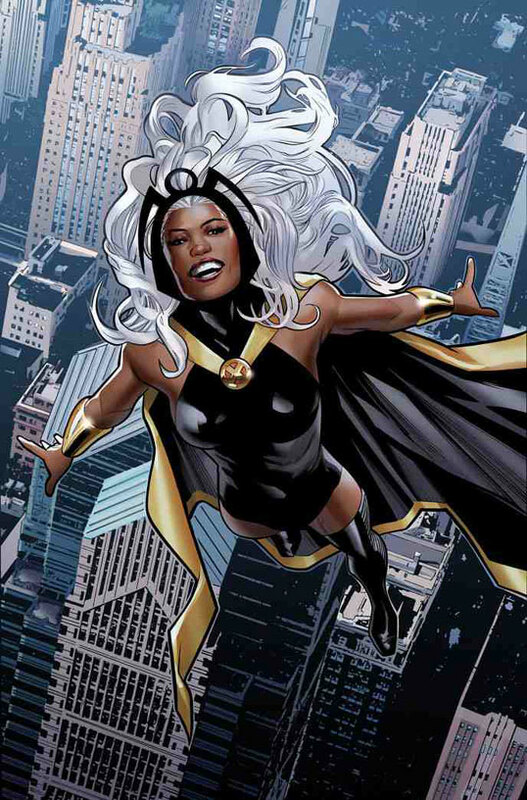 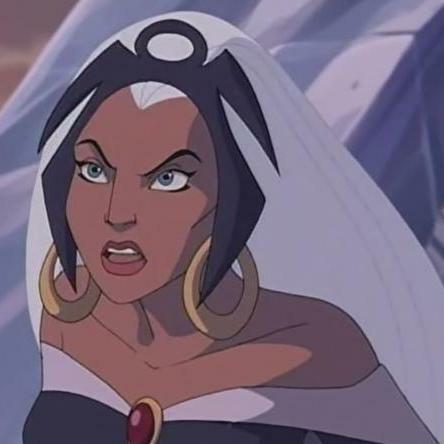 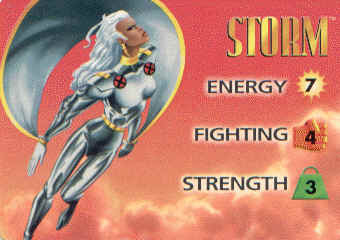 Ororo Munroe, better known as Storm, is to co-leader of the X-men. 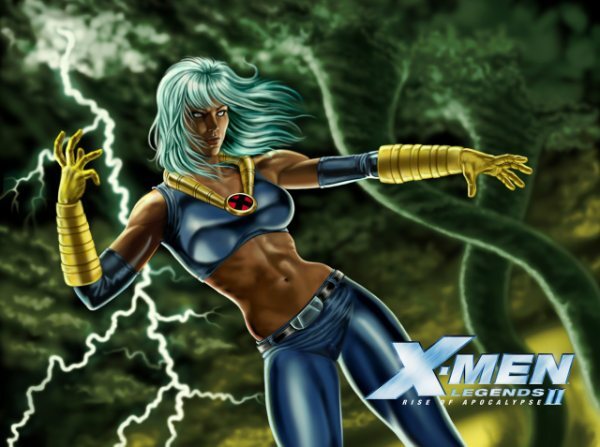 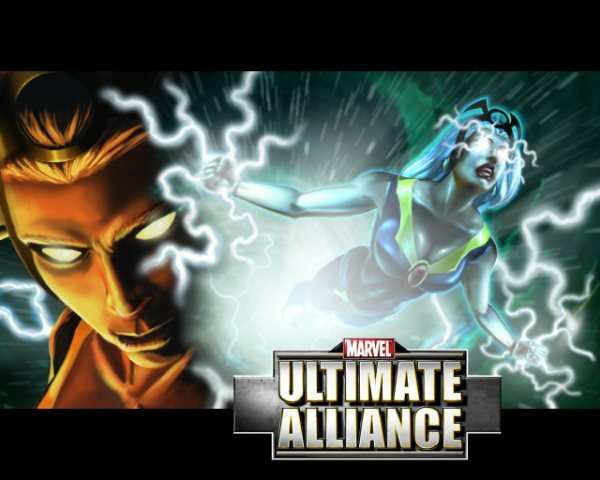 Her special mutant ability allows her to manipulate the forces of nature. 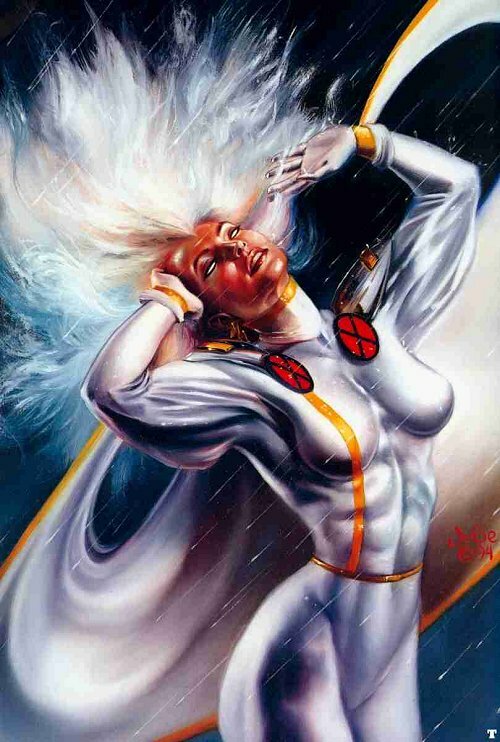 This control over the weather gives her the ability to fly. 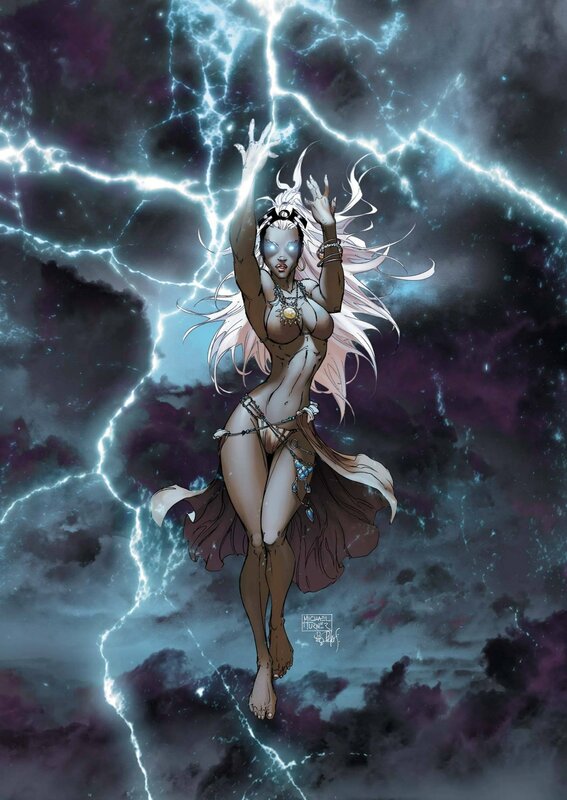 She can call upon the power of a storm and harness the fierce power of weather. 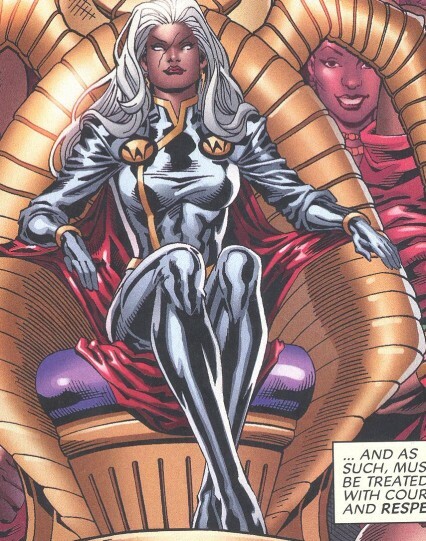 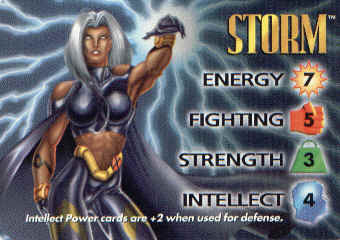 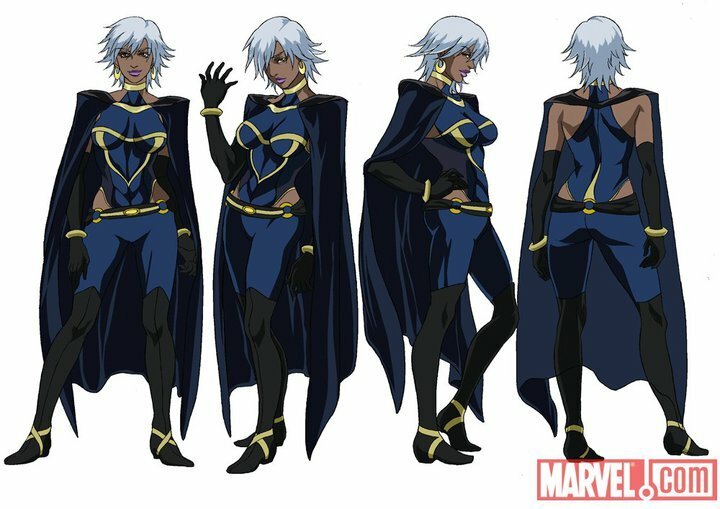 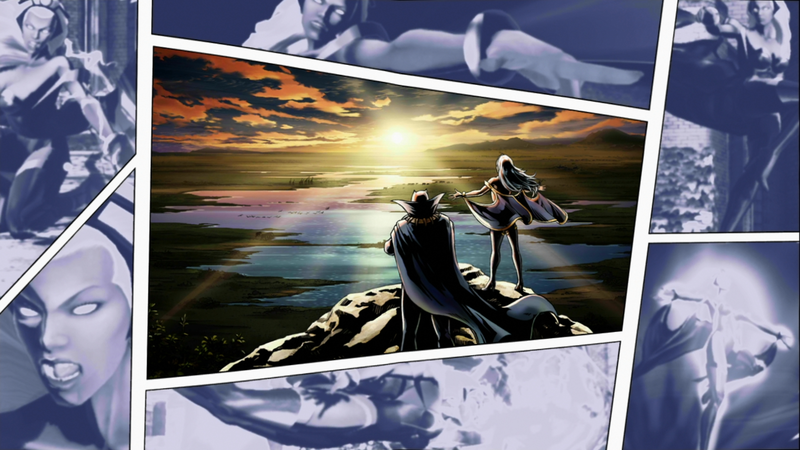 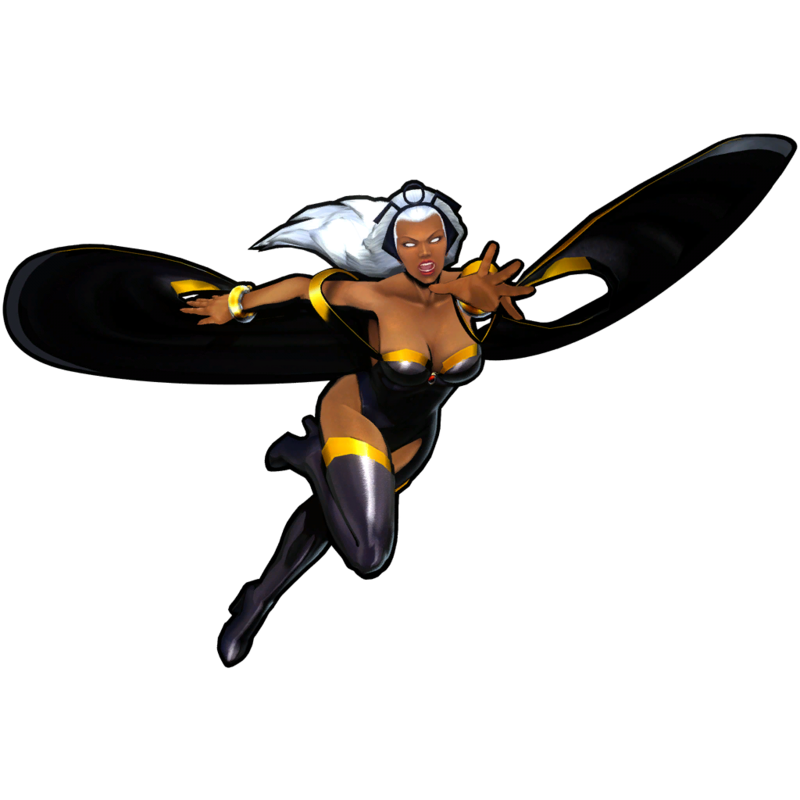 Storm possesses a strong sense of nobility, making her a great leader. 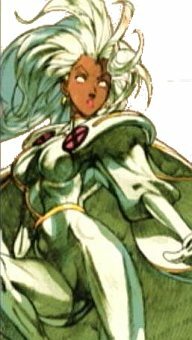 Ororo is the descendant of an ancient line of African priestesses, all of whom have white hair, blue eyes, and the potential to wield magic. 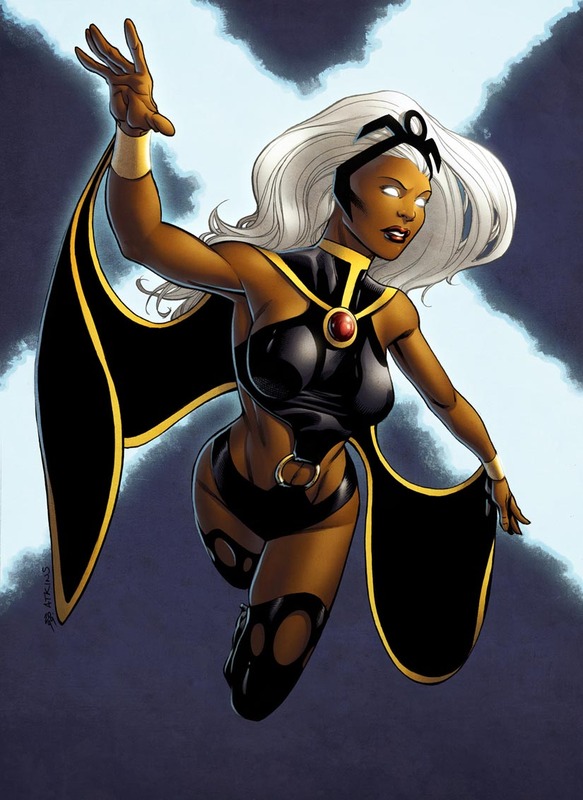 Her mother, N'dare, was an African princess who married American photojournalist David Monroe and moved with him to Manhattan, where Ororo was born. 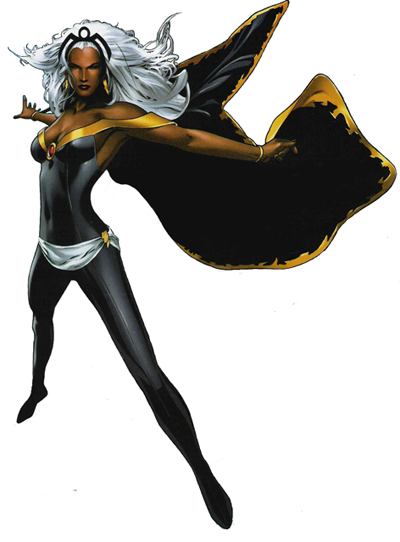 When Ororo was six months old, she and her parents moved to Cairo, Egypt. 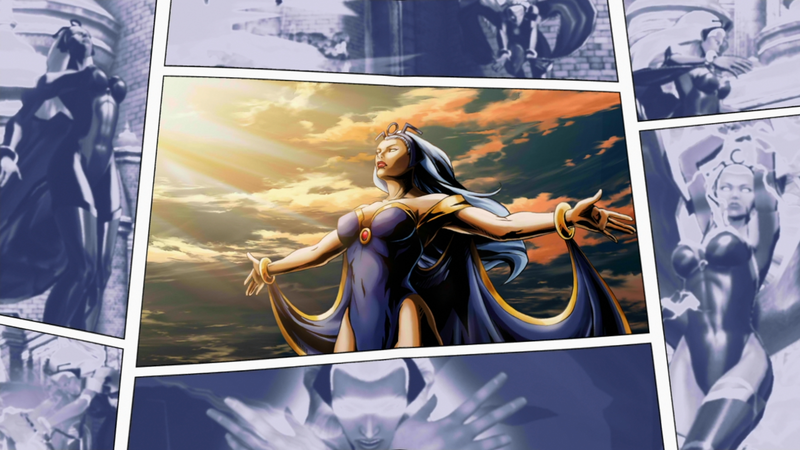 Five years later, during the Arab-Israeli conflict, a plane crashed into their home. 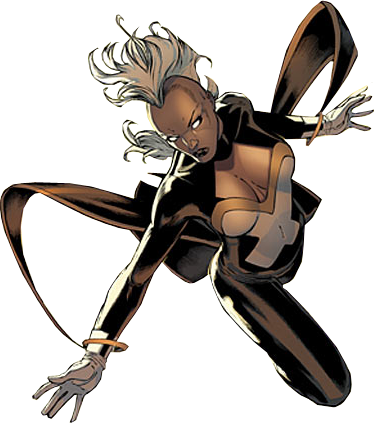 Ororo's parents were killed, but she survived, buried under rubble near her mother's body. The resultant trauma left Ororo with severe claustrophobia that still affects her today. 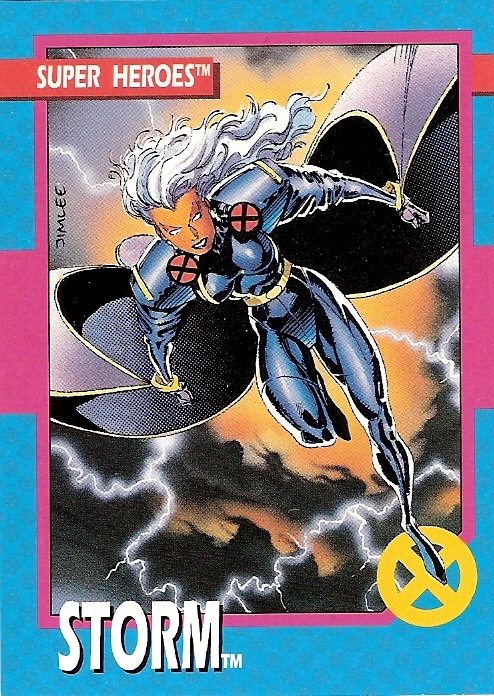 Storm was initially very naive when it came to the customs of the modern world, but her team mate Jean Grey helped educate her in the ways of society and the pair formed a lasting friendship. 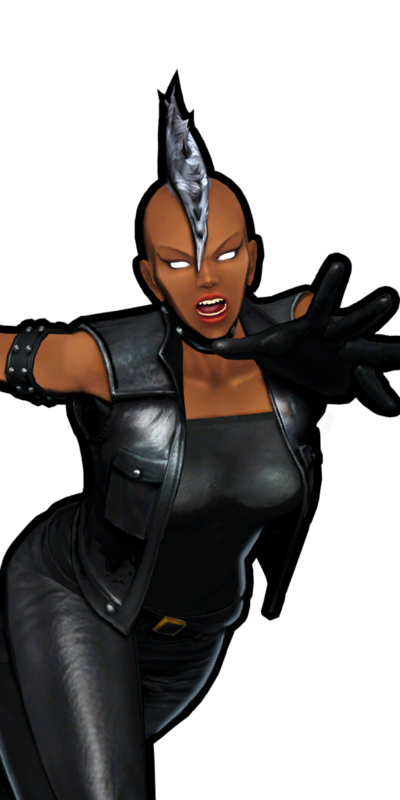 Jean was also one of the first X-Men to learn of Storm's claustrophobia after the two women chased a thief into the subway. 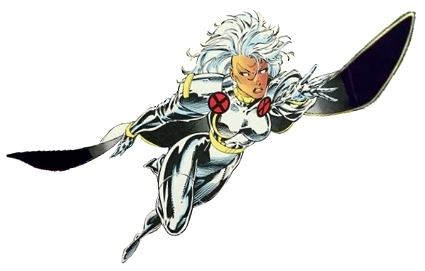 After serving with the team for many years, Storm was appointed leader of the team following the departure of former leader Cyclops after the apparent death of Jean. 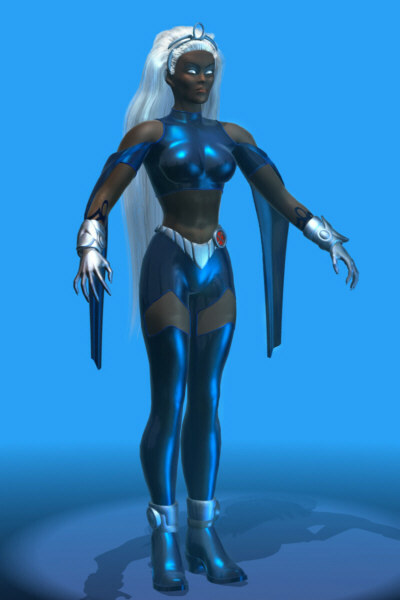 Storm was initially unsure about her new role, but with the support of her team mates she soon became a capable leader. 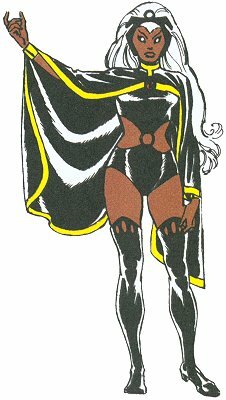 When Cyclops eventually returned to the team, Storm found herself doubting her leadership abilities once more after a mission she led went wrong. 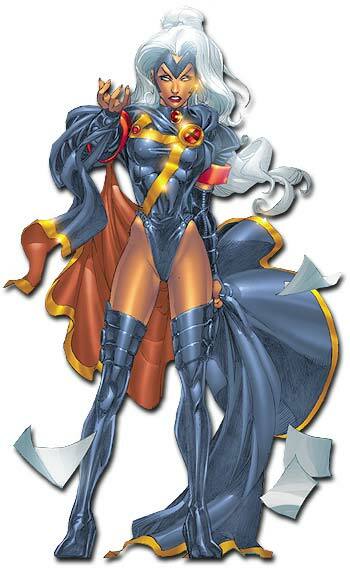 However, she soon asserted her position, reminding Cyclops that she was now team leader. 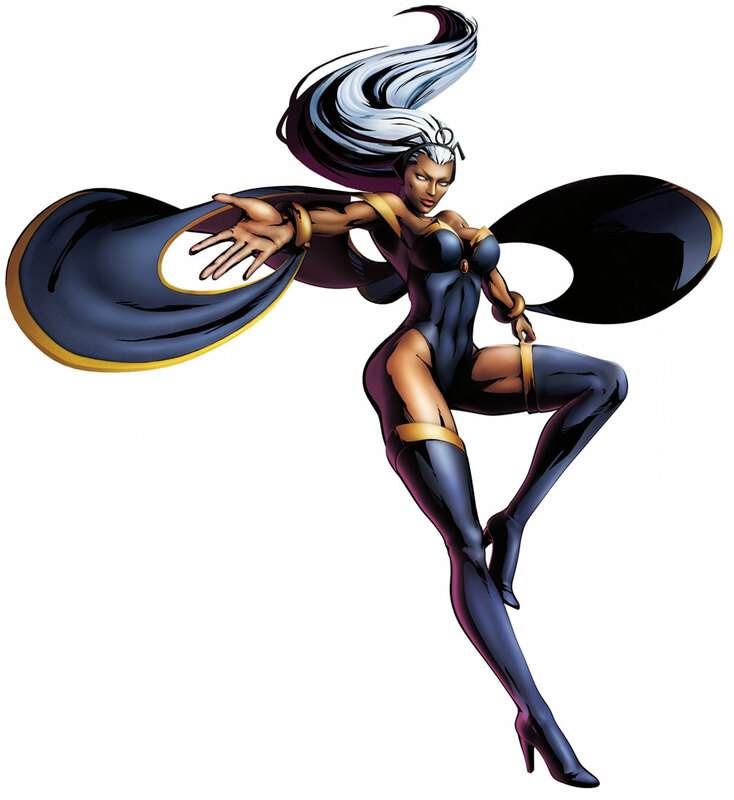 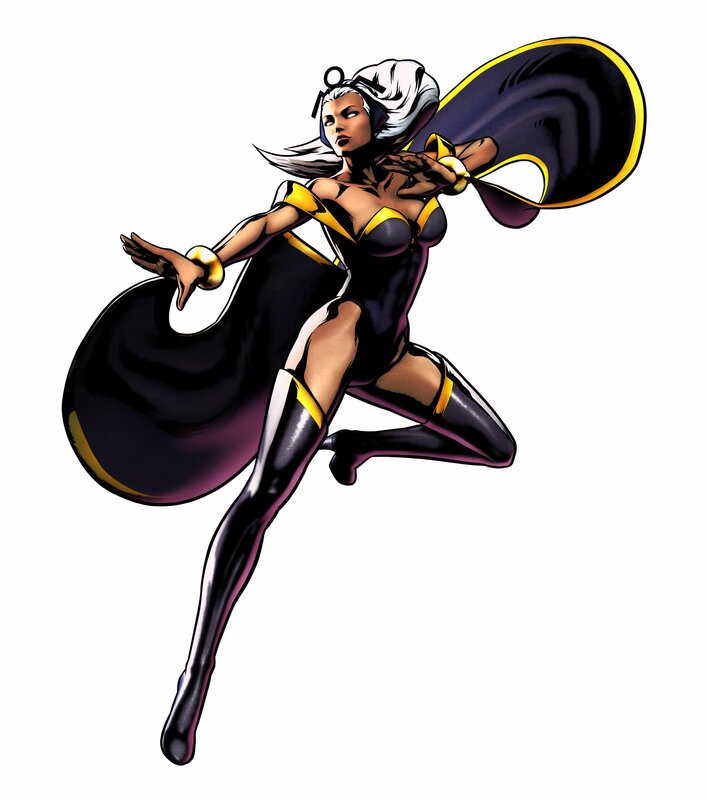 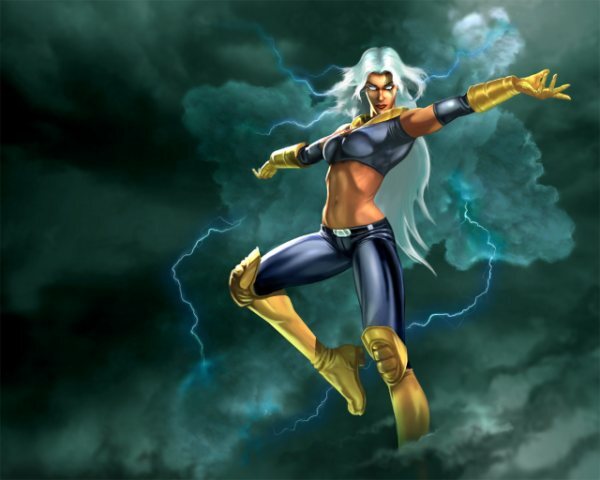 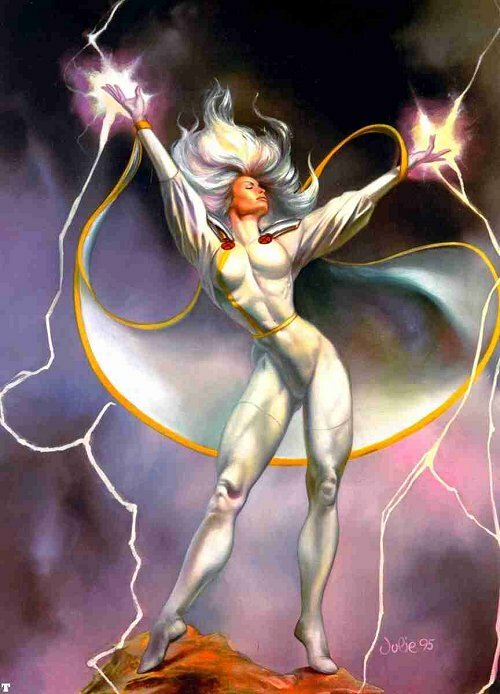 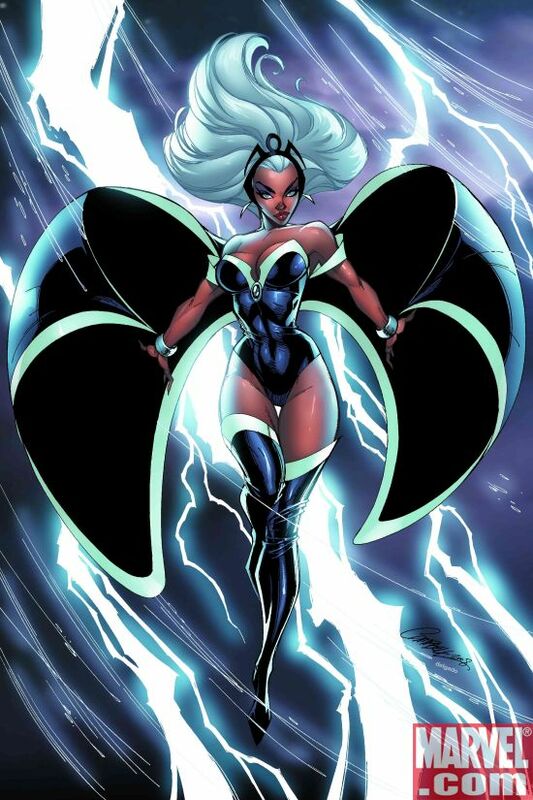 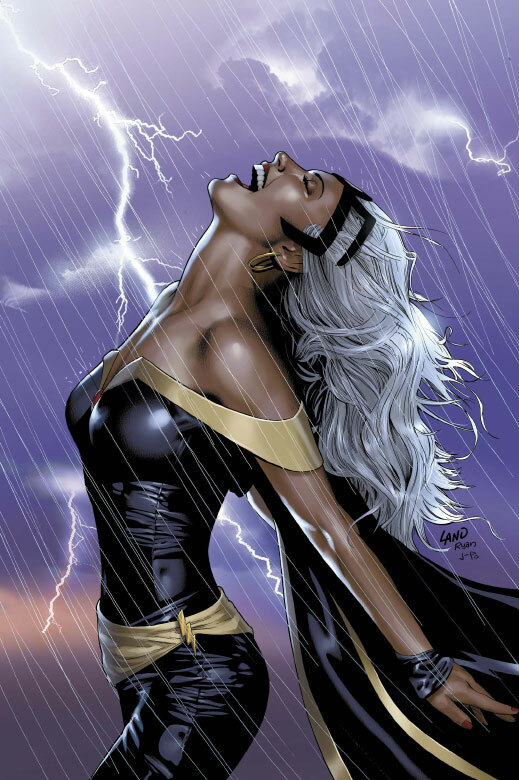 The goddess of weather needs no introduction... Ororo Munroe has been an iconic Marvel heroine for decades. 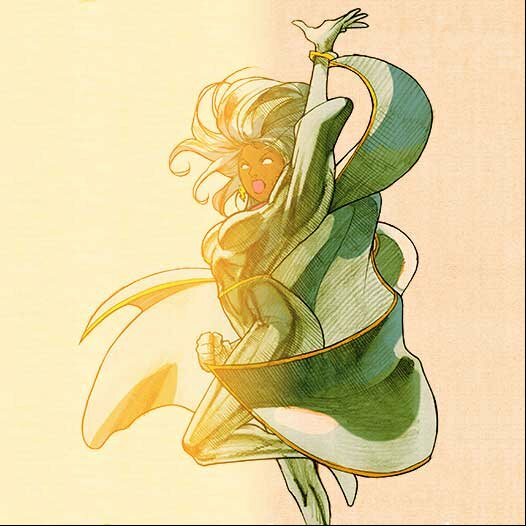 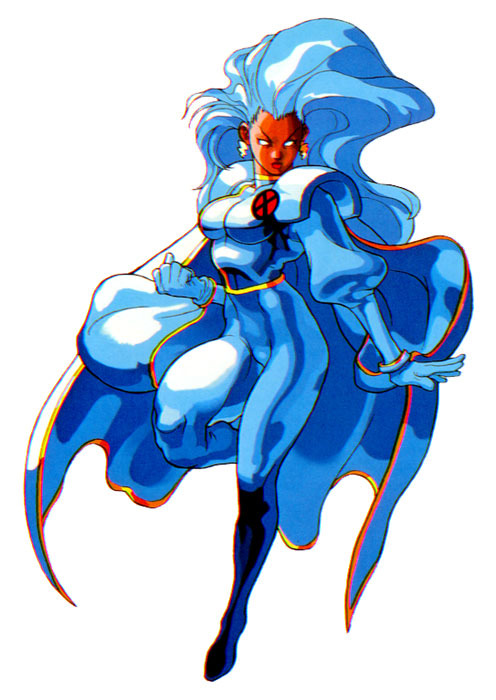 She always had an unquestionable presence and is a lovable, yet mysterious character in the X-Men series. 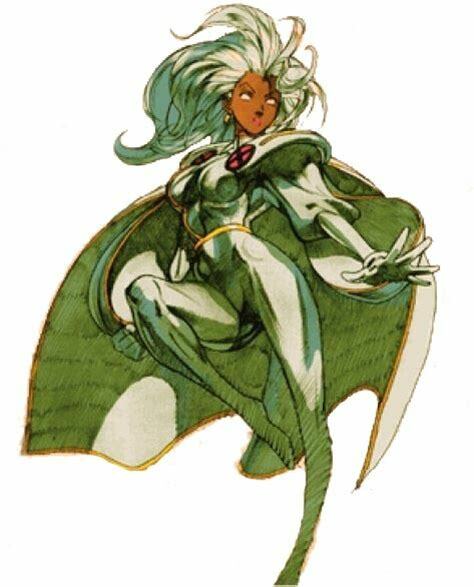 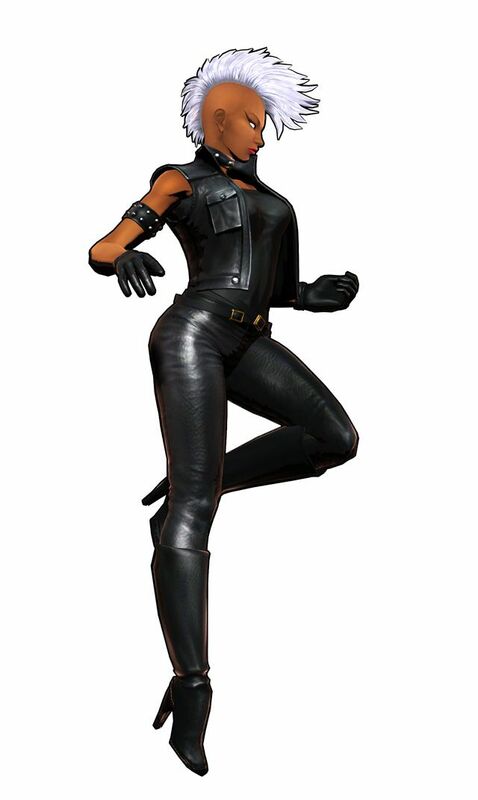 Her fighting game debut was done incredibly well by Capcom's 2D artists back in the day... Storm's original 2D sprite simply oozes with personality. 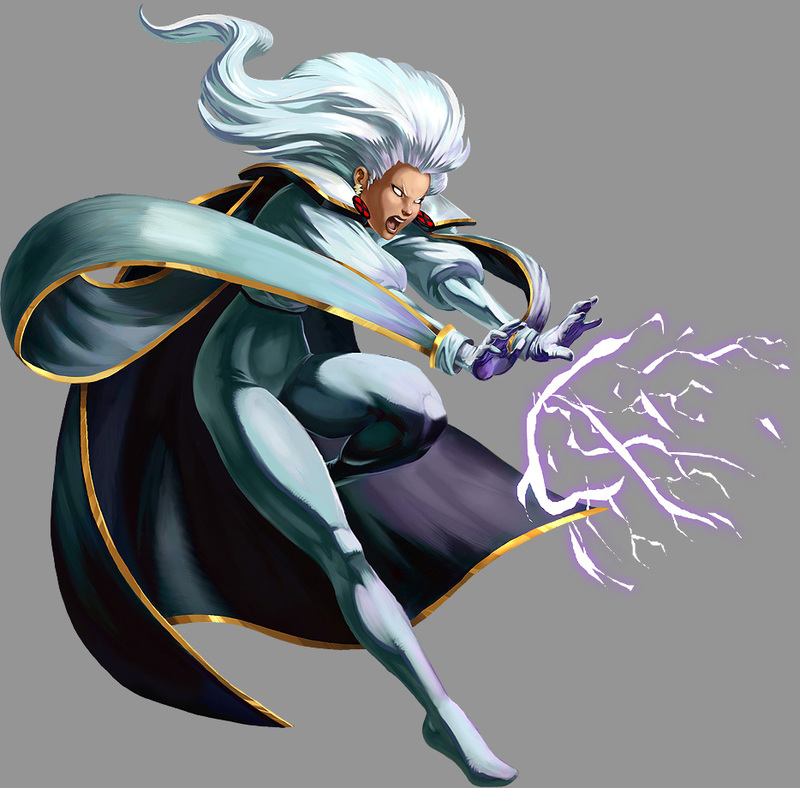 Her original moveset / fighting style is also pretty cool, even though high level Storm players are known to use some seriously "cheap" tactics in the earlier games. 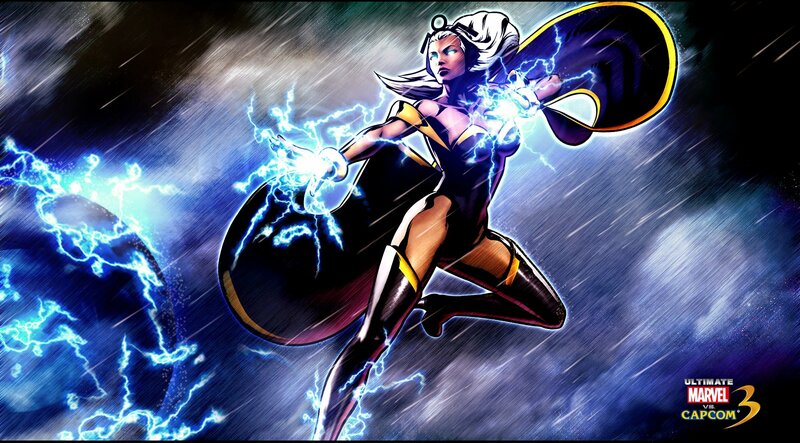 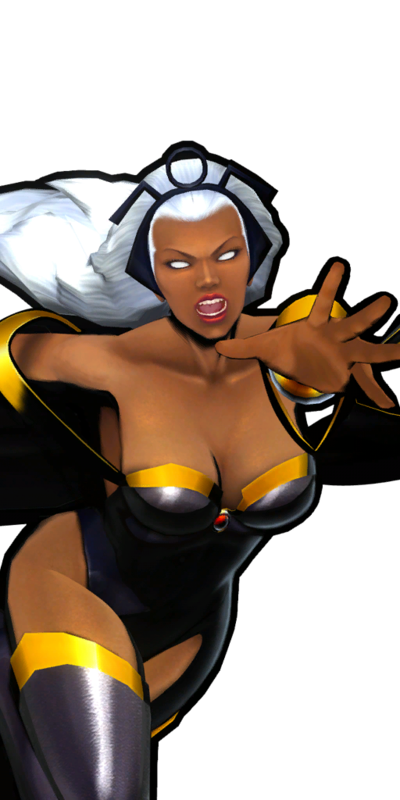 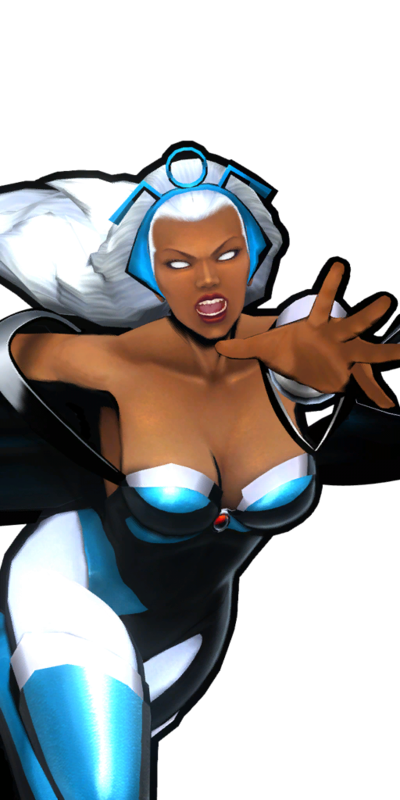 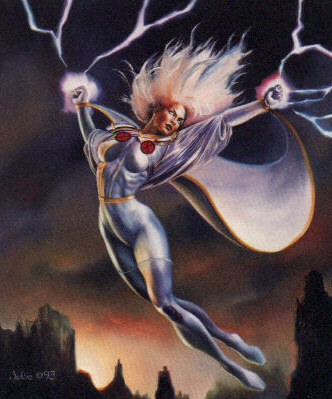 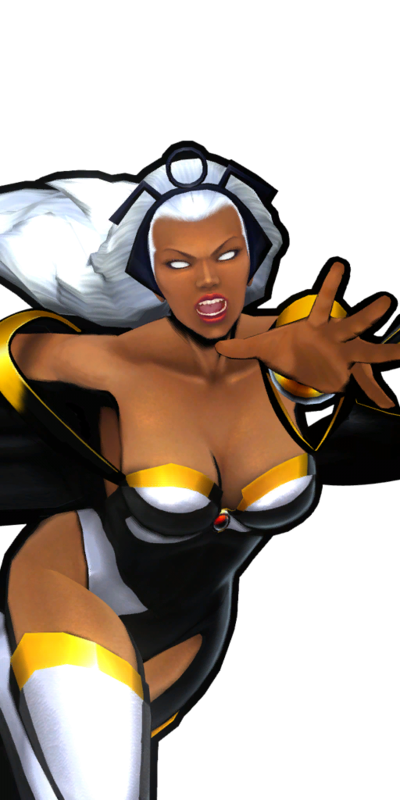 Storm also looks great in MVC3... but I was kinda hoping they kept her classic white outfit. Worth mentioning, Storm is a "role model" female superheroine, in my opinion. 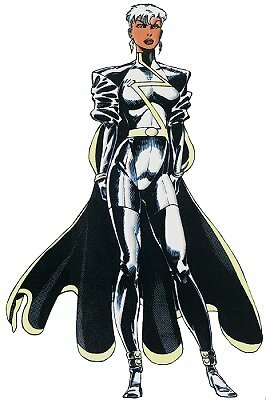 Strong from the start... equal (or even more powerful) than the male heroes. 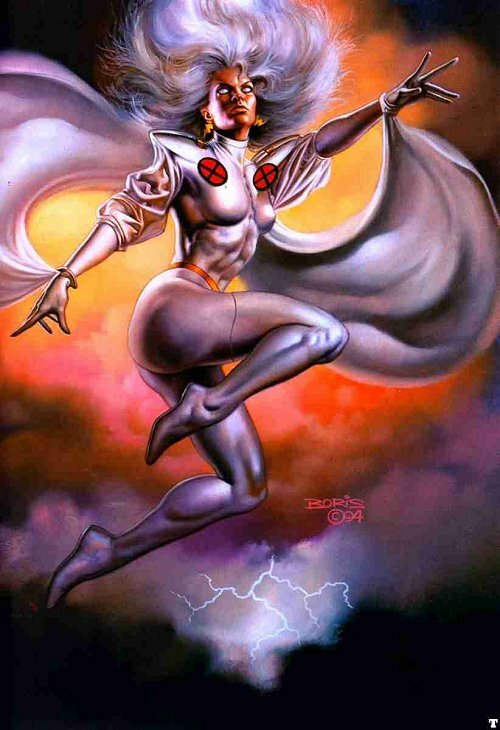 Back in the 80's and 90's, it was awesome to see a strong female leader - and one that was never sexualized or objectified for being a strong woman. 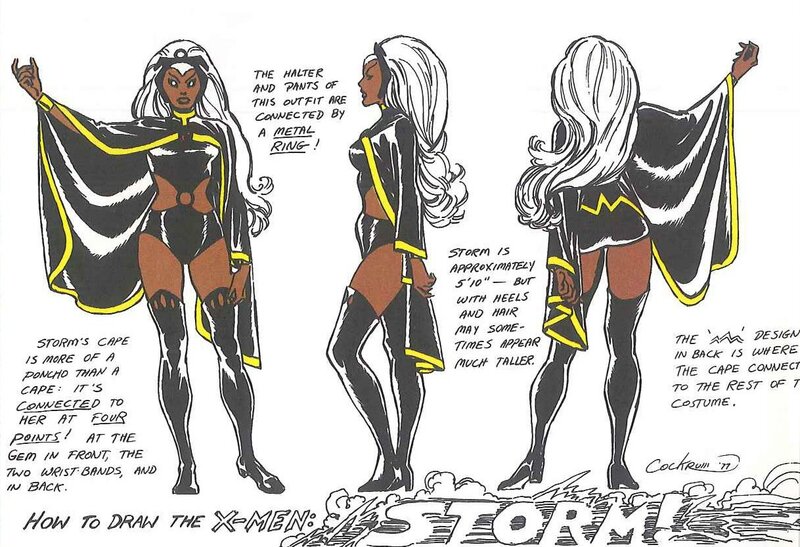 Show'em how it's done, Storm!